The Township of Logan was originally settled in 1820. Logan Township was first named West Woolwich Township. 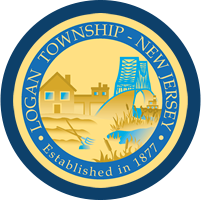 It was incorporated on March 12, 1877 and a year later the name was changed to Logan Township. The town’s name comes from Alexander “Black Jack” Logan, an American General and founder of Memorial Day. The Township covers a 22.8 square mile area and is comprised of five areas: Beckett, Bridgeport, Center Square, Nortonville, and Repaupo.